Government skills plan promises reform – and data! Skills minister Nick Boles has said the UK government accepts and will implement every one of Lord Sainsbury’s 34 recommendations on technical education reform ‘unequivocally where possible within current budget constraints’ (reports Infrastructure Intelligence today). The government’s Post-16 Skills Plan has been published simultaneously with, and as a response to, the Sainsbury independent panel report on technical and professional education, having been delayed due to the EU referendum (both are available online here). Sainsbury says the UK’s current system of technical education is overly complex and fails to deliver the skills most needed – as a result, the UK lags behind countries including the US, Germany and France in productivity per person. Sainsbury’s recommendations include setting up distinct and coherent technical education routes for young people, with two modes of learning: employment-based, typically via an apprenticeship; and a college-based option. Government will build this new technical education route, simplifying the system by establishing a common framework of 15 technical education routes – including one for construction – encompassing all occupation types. Currently there are over 13,000 different qualifications available for 16-18 year-olds. Sainsbury also calls for a common initial core of maths and English for all technical qualifications before specialisation. The Post-16 Skills Plan shows that construction – currently employing over 1.6 million people – is among the most critical routes to employment, second only to ‘business and administrative’ (2.2m), and currently ahead of ‘engineering and manufacturing’ (1.3m). The Plan will create high-quality, two-year, college-based programmes at the start of each route, suitable for 16–18 year-olds, but which can also be accessed by adults (students aged 19 and over). New specialist training providers will also be introduced. The provision of university technical colleges (UTCs) will be expanded, and, where industries of national economic or strategic importance are facing particular challenges in recruitment, new National Colleges will be created. These will lead the design and delivery of technical skills training in five key sectors: nuclear, digital skills, high-speed rail, onshore oil and gas, and the creative and cultural industries. Importantly, the Skills Plan also commits (sections 7.4 and 7.5) to “taking action in response to the review we have commissioned from the Construction Leadership Council and Mark Farmer (the Farmer Review) of the functioning of the labour market, including skills provision, in the construction sector.” The government will also review the Construction Industry Training Board (CITB) and the Engineering Construction Industry Training Board (ECITB), seeking to boost domestic construction skills and drive up productivity in the construction sector. 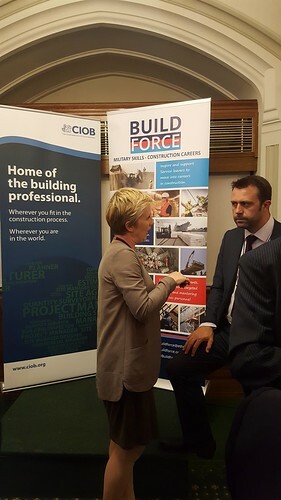 We are pleased to read this – Mark Farmer has taken a keen interest in EthosVO’s SkillsPlanner and in related initiatives such as BuildForce, launched at the Houses of Parliament on 29 June. “… making more information available about what students go on to do and how much they earn after taking particular routes or apprenticeships, and how the performance of colleges and other training providers influences students’ performance in working life. This information needs to be easy to access and understand so that people can use it to compare different education and career options and make confident and informed choices. Excellent summary of the situation, Paul. The situation is very similar in the area of digital apprenticeships. With one extra point that is being bounced around: STEM turns to STEAM. Many digital employers find that current graduates and apprentices lack the creativity that they need to drive their employers’ propositions forward. Is that also true in the construction sector? Many entrants to the construction trades and professions come well-equipped with creativity, but too often their application of this creativity is stifled by industry structures and processes which hamper innovation and collaboration. Some in construction are working hard to overcome so-called “silo-based mentalities” (often perpetuated by narrow curriculums and by adversarial and contractual approaches to project delivery), but too many organisations remainly stubbornly attached to traditional approaches to construction (“We’ve always done it like this”). Thankfully, BIM, ‘lean construction’, and government efforts to get better value for money through collaboration, are starting to change things, but it will be a long journey.